For all intents and purposes, Nungambakkam is the central and most-important hub for all of Chennai. Its strategic location offers the neighbourhood great connectivity with almost all parts of Chennai and has made it a choice destination for almost every business in the city, from shopping to drinks and movies. In short, Nungambakkam is to Chennai what Hauz Khas Village is to Delhi and what Bandra is to Mumbai. So if you like being spoilt for choice as to what to do in the city, heading to Nungambakkam is your best bet. Here are some activities that you definitely shouldn’t give a miss when in Nungambakkam. Only until a few years back, Khader Nawaz Khan Road was rated one of India’s costliest retail spaces in the whole country. While other shopping districts in major metros may have overtaken it in recent years, the road still remains one of Chennai’s most sought-after retail destination and is home to the most number luxury retail outlets in the city. From the uber-luxe Bergamo Mall to Adidas Originals and Calvin Klein outlets, KNK Road is decked with several high-street brands. It is also home to a number of great local labels such as Silkworm Boutique that is a choice retailer for everything silk. While the neighbourhood itself is quite an urban jungle, Nungambakkam boasts of easy access to two of the biggest parks and green spaces in Chennai – the Valluvar Kottam and Semmozhi Poonga. Located just off the Kodambakkam High Road, the sprawling Valluvar Kottam is not just a park but also an architectural destination that boasts of a unique 39m chariot with all 1330 verses of the foremost work of literature in Tamil, the Thirukkural. On the other side of the neighbourhood is the recently constructed Semmozhi Poonga, which is a sprawling 8 ha complex with scenic walkways, manicured gardens, an amphitheatre and even artificial duck ponds. When it comes to fine-dining, it’s once again Nungambakkam’s Khader Nawaz Khan Road that rules as every Chennaiite’s destination of choice. From hugely popular restaurant chains such as Mamagoto to more casual joints such as Love Peace Karma, this neighbourhood has it all. When it comes to dessert, Nungambakkam once again boasts of having the best options with popular joints such as Amadora and Sandy’s Chocolate Laboratory and a few other lesser-known but highly recommended ones such as Tryst Gourmet. Harrington Road’s Sir Mutha Venkatasubba Rao Concert Hall is counted among Chennai’s best venues for both stage theatre and live performances. The venue regularly hosts both regional and English theatre presentations from reputed production houses such as Evam and has also hosted festivals such as the Hindu Theatre Fest. The venue also regularly hosts stand-up shows and has also hosted popular comics such as Kenny Sebastian and Naveen Richard. Apart from the SMVRCH, another immensely popular stage venue near Nungambakkam is the Museum Theatre on Pantheon Road. Other popular venues for plays, theatre and performances are the Chinmaya Heritage Centre and the Alliance Francaise of Madras. Apart from shopping, food, and drink options, Nungambakkam is also popular for being the neighbourhood with the most number of art galleries in Chennai. And this popularity is not just in terms of numbers since the ones located in this area are also some of the best and most famous galleries in Chennai. Serving as a de facto art district for Chennai, Nungambakkam is perfect for art-lovers for hopping between galleries and taking in the city’s art scene. 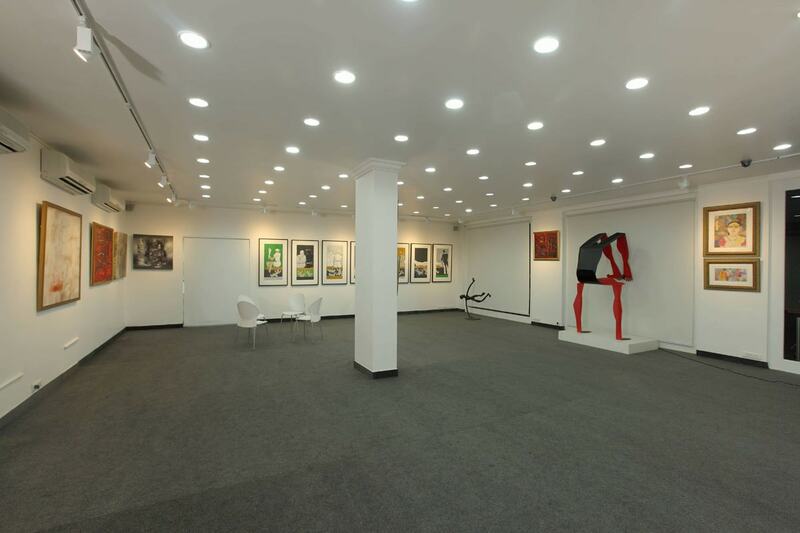 Some of the best galleries in Nungambakkam are the Apparao Galleries, The Faraway Tree Gallery, and the Studio Palazzo Gallery. Above everything else, the one aspect where Nungambakkam really shines is in terms of nightlife. Indeed, the neighbourhood is often called the party capital of Chennai and boasts of being home to the city’s most popular pubs, clubs, and bars. Chief among these are pubs such as Pasha at The Park, which counts a number of celebrities among its regular guests, Hoppipola and Crystal Bar, both of which are popular watering-holes with cheap drinks, and other bars famous for their grub such as Chipstead at the Taj Coromandel. 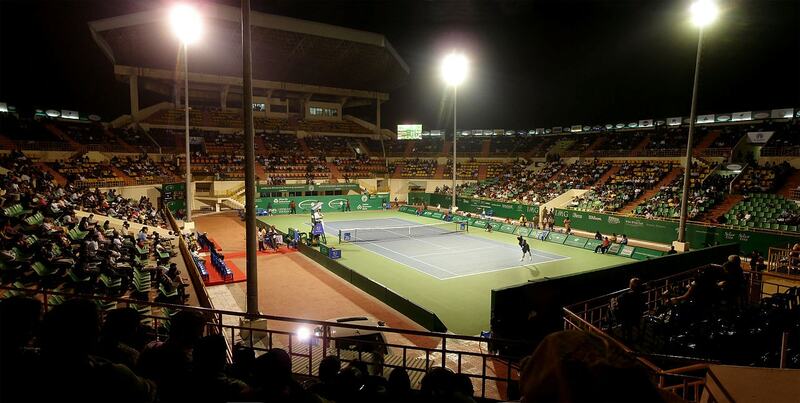 The most popular sporting venue in Nungambakkam is the SDAT Tennis Stadium, which for years had hosted the popular ATP event Chennai Open. Nungambakkam is also home to a number of popular sporting clubs and other establishments such as the Sterling Club and Loyola College, which also boasts of a number of sporting grounds, facilities and venues. Nungambakkam has a number of venues for alternative sports such as Slip’n’Kick, a soap-football turf and for e-sports such as Arknemesis Gaming Cafe and Yuris Yard.